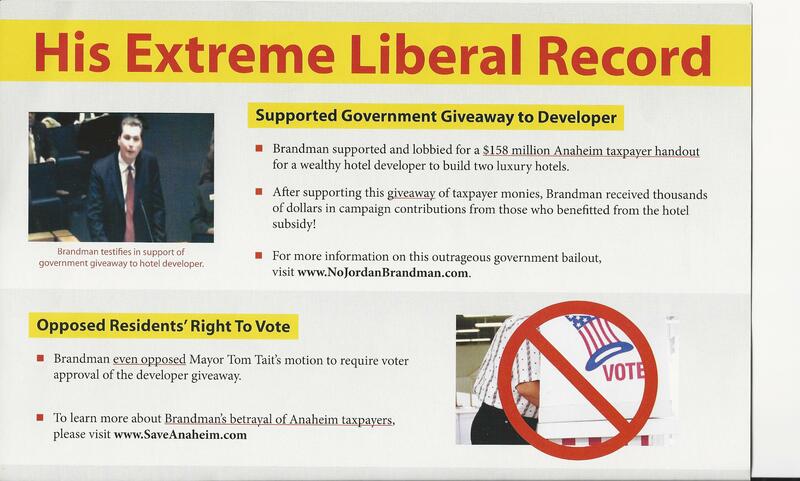 This mailer came yesterday from the OC GOP pointing out that Lucille Kring is endorsed by the OC GOP and Anaheim Mayor Tom Tait. The piece also really goes after Jordan Brandman as you will see below. It is an effective piece that shows up as an 8.5 x 11 and folds out into an 11 x 17. This entry was posted on October 23, 2012 at 9:58 AM	and is filed under Anaheim. Tagged: Jordan Brandman, Lucille Kring, Tom Tait. You can follow any responses to this entry through the RSS 2.0 feed. You can leave a response, or trackback from your own site. Mailer sharp. Mailer dirty. 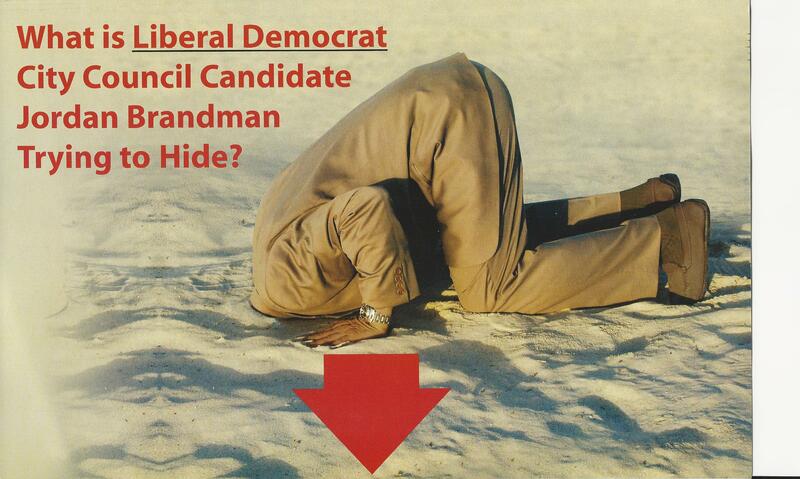 Mailer make DeSnoos head hurty. 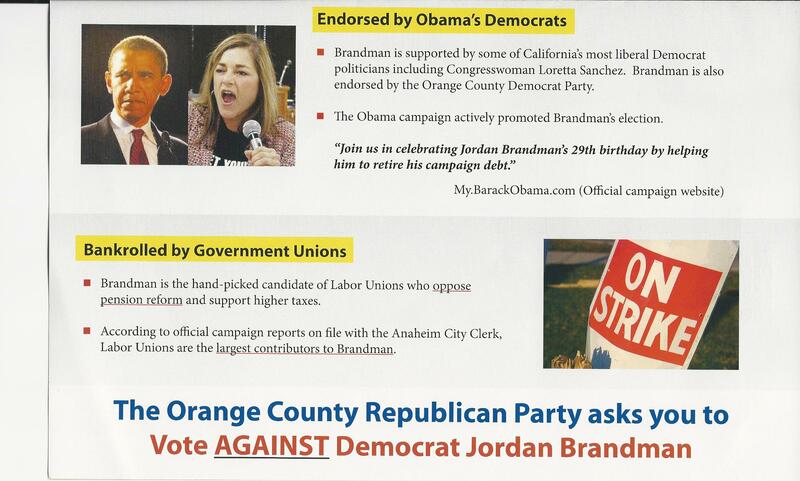 Attention Republicans: Next Week, Democrat Loretta Sanchez will be on two mailers with Democrat Tom Daly.